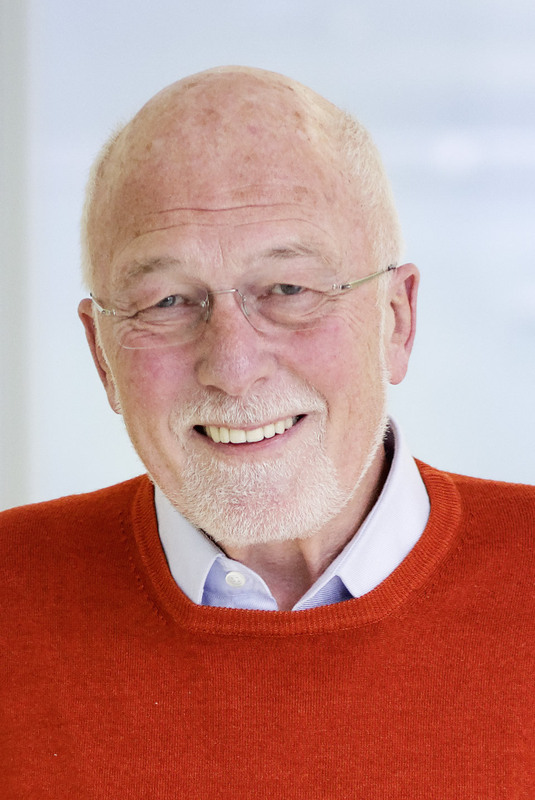 The research group of Peter Herrlich, Scientific Director Emeritus of FLI, lays its research focus on the question, What are the first steps towards the development of a tumor and, in particular, towards the formation of metastatic properties (the ability to form daughter colonies). In focus has been the tumor protein CD44 that had been discovered by the laboratory many years ago. Many cells of the body, not only tumor cells, carry this protein on the cell surface. Research on its function has been made relatively complicated by the fact that CD44 occurs in multiple forms. Their various functions have not yet been fully revealed. CD44 has been identified as a marker of so-called tumor stem cells and of tumor cells with the ability to metastasize. Not directly related to tumor biology is the work on a second protein, TRIP6. TRIP6 is a transcription co-factor. Disruption of its gene in the mouse caused defects in the embryonic differentiation of progenitor cells in the brain, in particular the differentiation of the cells that are responsible for the generation of cerebrospinal fluid. 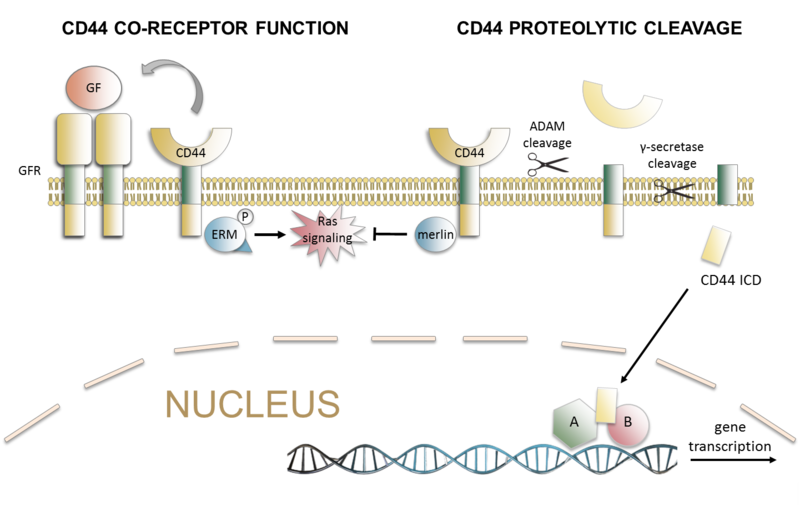 Cleavage of tumor protein CD44.